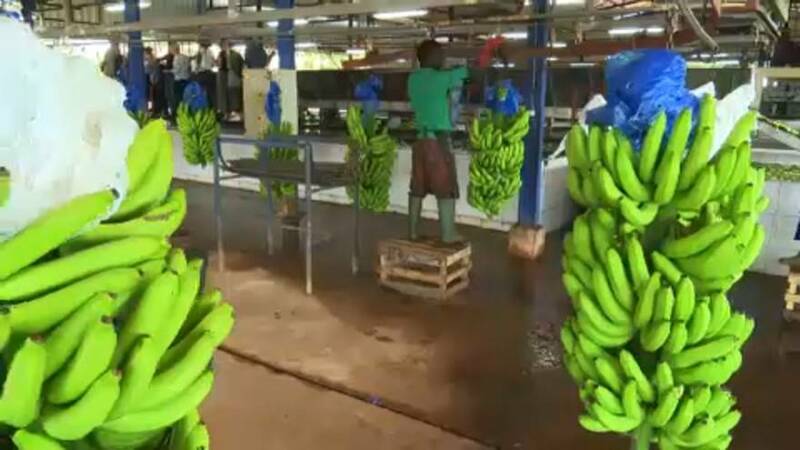 More than 80 percent of bananas harvested on plantations in Ghana, Cameroon or Ivory Coast go to the EU. The EU wants to promote the growing countries with four billion euros, so that they can make important investments in energy and infrastructure. Because bananas should continue to be the future. Africa has to create around 380 million new jobs by 2030, 200 million of them in agriculture outside metropolitan areas,” says our correspondent. Without this modernization, the expected increase in demand in Europe can not be satisfied. And that could lead to unwanted price increases. No one wants it – because bananas should continue to be the future. “The banana plantations play an important role in the social fabric of the Ivory Coast,” explains Kossomina Ouattara, an exporter. “The pay is good, as are the benefits and the health insurance. You can work on a plantation and feed your family in a figurative sense. This work must also be attractive to the young. Agriculture in Africa can therefore be a factor in the development of the country – and keep residents from migrating to Europe. This is pointed out by the head of the Banana Export Association, Jean-Marie Kakou Gervais. “If we want to be successful and competitive, European markets must be protected for us,” he said. Bananas can help countries like Ivory Coast to offer future generations a real future opportunity.